Vallco Fashion Park opened in September 1976 as one of the largest malls in the San Jose (soon to be known as “Silicon Valley”) region. 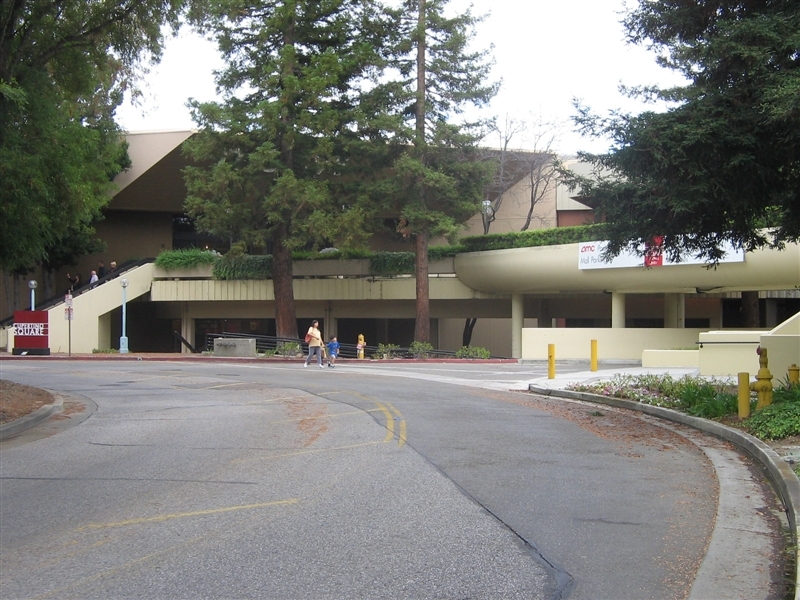 Located in the affluent western suburb of Cupertino–which would become famous in later years as the home of Apple Computer–the mall sported Sears, JCPenney, and The Emporium (now Macy’s) as anchors. The mall got its rather sterile and discounty-sounding name from the center’s developers: Varian Associates, and the Leonard, Lester, Craft, and Orlando families. To me, it sounds like the kind of place that would have Totes, Bugle Boy, London Fog, and Van Heusen outlets. Vallco employed a very strange floorplan from the very beginning. There is one large, two level wing that extends between Sears and the Macy’s store, west of Wolfe Road. Then the first level of the mall ends while the second level takes a 90 degree turn, going over Wolfe Road and ending at a JCPenney anchor while also sprouting a small first floor on the far side of the street. The decor of the center–even to today–is a unique mix of ’70s modernist design; if you’re at all interested in the kind of frumpy old ’70s shopping center architecture that was at one point designed to look “fancy” then this place is a real treat. Vallco was for many years the dominant middle-tier mall in the west valley region, drawing shoppers from the many affluent suburbs to the west of San Jose. 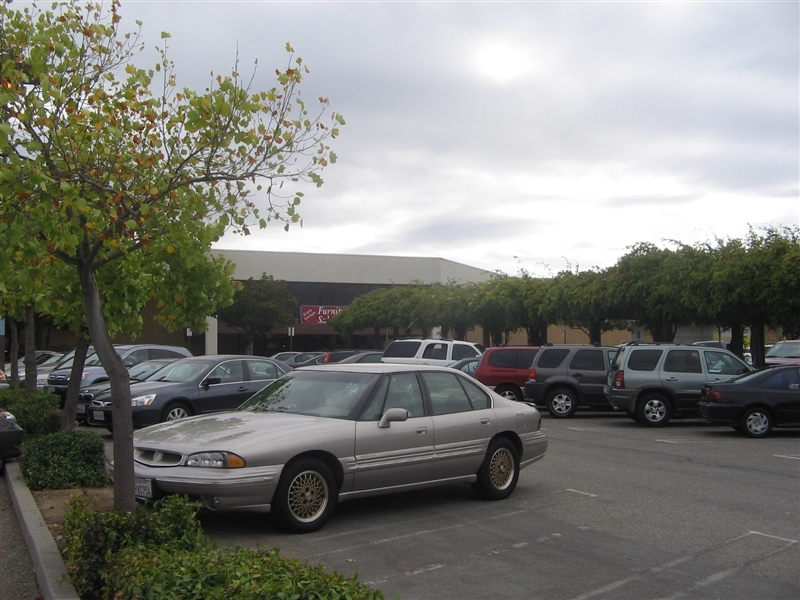 However in the 1990s the center began to falter due to the continued expansions at the nearby Westfield Valley Fair Mall, currently the largest mall in the Bay Area. 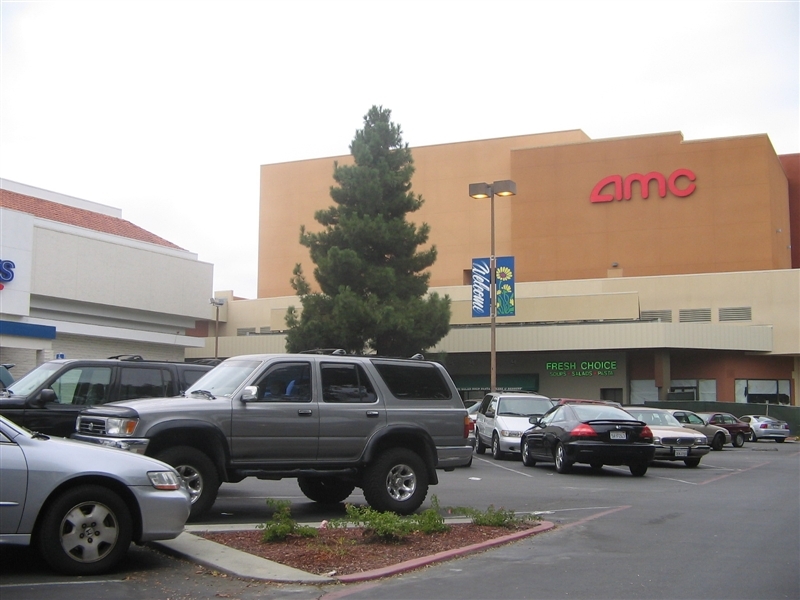 Valley Fair’s growth–combined with the 2002 opening of the massive Santana Row lifestyle center directly across the street–caused many malls to go under, including the Sunnyvale Town Center and Mountain View’s San Antonio Shopping Center. Vallco remained open but occupancy rates dipped down to around 25%. However, while some progress has been made to date–such as the opening of all of the above attractions–the mall seems to be frozen in amber, unable to move forward on the promise of renewal. The entire first floor of the mall is mysteriously shuttered, the food court has been closed and under construction for over a year, and little seems to ever change. The large pylon facing I-280 still displays the “Vallco Fashion Park” name, even as all other signage for the mall has been updated to reflect the new name and logo. In 2008, it was reported that the mall’s investors were deep in debt and the center on the brink of foreclosure. For a dead mall, Cupertino Square does seem to generate a fair amount of foot traffic, but nearly all of the storefronts are dusty and vacant, relics of a bygone era of scrunchies, hairspray, and Huey Lewis cassingles. Maybe Steve Jobs should turn it into a mall of the future, or something. For now, it remains one of California’s strangest dead malls. Also read some memories of Vallco on its Yelp page. More from BigMallRat–the mall has barely changed since this post was written. Wow! So this is the Vallco! Thank you…what was the name of the food court stand that reportedly sells microwave burritos and ramen? Thanks! Yay! I like it when fugly malls fail. Lifestyle centers forever! Oh my gosh, modernist and minimalist. It looks as sterile as the hallway leading to the OR’s at our local hospital. Minimal plantings, and seating; what an off-putting space. All white with those Japanese lanterns AKA schools of jellyfish floating above the empty space. And what’s with that funky seating? The freeform couches look really, really cool but really, really isolated. When I get to work tomorrow morning, I’ll be interested to see when our store(s) vacated this mall. For the first time, I’m speechless after viewing this site. I don’t know which intrigues me more — the escalators, still unchanged with their harvest gold inserts; or the funky, angled, seemingly falling on your head Macy’s signage. This poor mall. I thought I read in the business news that the mall was in foreclosure since September. I still think the mall can make it, but it does take time. With retailing the way it is now, it could take a few extra years. The question is, will the holders of the debt be willing to wait? I actually pleaded with the owners to get one of the old Vallco neon signs at the entrances. The manager agreed, but then flaked on me! I was hoping to have a piece of history. Those red sofas underneath the escalator with the AMC movie theater sign look like something from 2001: A Space Odyssey. Very strange looking. As gaudy and dated as this mall is, I really like it, there is just something about the unusual in design that intrigues me. That very strange layout has to be one of the reasons the mall went down. How could any mall developer think such a design would appeal to shoppers? It looks confusing to walk through and even Caldor’s description was hard to comprehend. A lot of malls that were built in the 70’s and 80’s have unusual and confusing layouts like this. Something that was corrected by the the 90’s and 00’s, as most newer malls have more linear layout, like a slightly curved line. They don’t even list their stores on their own website. Pathetic. IIRC, Sears was the first store to open at the site, in 1970. Then Bullock’s North opened in 1975. I.Magnin, a Neiman-Marcus-type store based in San Francisco opened along with the first phase of the mall in 1976. The Penney’s wing, including the bridge over Wolfe Road came a little later. Having Magnin’s locate there seemed an odd choice, as they already operated a store at Stevens Creek Plaza (now part of Valley Fair) just a few miles down the road since 1964. I.Magnin was a two-level store, about 50,000 sf, located next to Bullock’s (both were part of Federated at the time), and it gave Vallco some cache, even though they were only open Thursday and Friday evenings, while the rest of the mall stayed open late Monday through Friday. At the time, Vallco Fashion Park was quite popular. Although Bullock’s never had much success in Northern California, the Vallco store was their #1 store in volume, outpacing Walnut Creek and Palo Alto. Federated pulled the plug on all Bullocks’ North stores in 1983, except for San Mateo which they continued to operate for a few more years as a far-flug outpost of Bullock’s Southern California. The Emporium operated a store in the Bullock’s location from 1984 until the whole chain was closed (ironically, by new owner Federated) in 1995. It sat empty for a few years until Macy’s somewhat reluctantly opened a store there in 1997. On a personal note: I was in San Jose recently visiting friends and we visited both Valley Fair and Cupertino Square one weekend. Valley Fair was busy and crowded, CS was dead. If you’re like me, and think Macy’s will shut some locations after Christmas, putting Cupertino Square on the list wouldn’t be a bad bet. It’s less than 5 miles from Macy’s huge (700,000+ sf) operation at Valley Fair and less than 5 miles from Macy’s Downtown Sunnyvale store. Given the other anchors at CS, a Target or Wal-Mart may prove to be more of a draw than the rather small (177,000 sf) and lackluster Macy’s. I went to Archive.org and it has a huge selection of stuff, including lease plans (albeit unmarked) lease plans and stuff, but no complete directory was found. Anyone remember the weird food court in the basement next to the ice skating rink by Penney’s ? Hey guys, don’t bash Vallco, it’s awesome, even if it is dead. I love this mall because it’s empty except for around FroYo and AMC, and plus, it’s the nearest movie theater to my house. It’s so not a fugly mall….the chairs are poufy and awesome.. but lol the chinese lanterns.. The food court’s open now; it’s got a Burger King and a hofbrau, and a Popeye’s about to open. Very interesting exterior architecture, the dramatic brown-colored diagonal roof slants are very 70’s indeed. There were plans back about a decade ago for Dillard’s to fill in the former Emporium space, then after Macy’s took over instead, they were looking at some other point around the mall. California needs more Dillard’s stores to compete with Macy’s and Gottschalks. I was impressed by the enclosed bridge over Wolfe Parkway when I first came by Vallco in 1981 when Bullock’s (North) was still in business. I have a lot of memories here, even since I was a kid. It used to be the coolest mall back in the day, in my opinion. I still go there today, the new AMC is the best theater to go to around now. Macy’s didn’t want to open a store at Vallco after they closed Emporium, but there was some covenant with the city that they weren’t allowed to keep the space vacant–they either had to sell it or operate a non-outlet store (they first tried to get away with some sort of furniture outlet IIRC). So rather than let a chain like Dillards or Gottschalks get the space they opened a regular store there, and it’s like a ghost town. Now with Dillards about to go under, there’s less pressure on Federated to keep that Macy’s open. The previous mall owners (including the infamous Emily Chen) defaulted on construction loans and eventually sold the mall to get money to pay DPR construction company. The next owners defaulted and went into bankruptcy to prevent a foreclosure auction. What they should have done is to tear down the mall between the department stores and build an open air center. The Chinese shopping center across 280 is a very old center (previously called Vallco Village) but it does very well. Sunnyvale has torn down their old mall and is doing an open air mixed-use development. See a picture of the crane falling on the mall when DPR neglected to take it down during a storm. 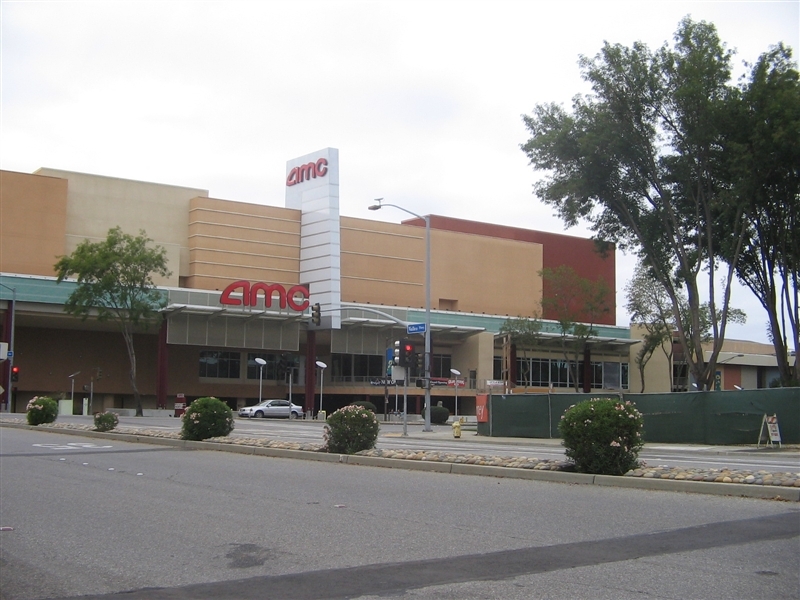 “http://i43.tinypic.com/357ir78.jpg” The delay in the movie theater caused by this accident resulted in the mall owners having to give AMC two years of free rent to prevent AMC from pulling out. I was part of the group that stopped the mall owners from building a condominium complex in one of the mall parking lots. It was a terrible location, and even the mayor admitted it, but the city allowed the rezoning claiming that without the condo complex there wouldn’t be enough money to “revitalize” the mall. We had to have an election to reverse the city’s zoning decision. It’s nearly impossible to “revitalize” a mall because malls fail because of reasons that you can’t fix with new floors, new parking garages, or paying retailers subsidies to open stores. Interesting that there was a construction mishap in the exact area where the original overpass (over Wolf) fell down when the mall was first being constructed. SMS– please contact me at email address above or 808.222.2872. Thanks. > day when we got our shipment of merchandise. > first Victoria Secret shop I saw was at Vallco. > It was not the flash and trash shop it is today. > good quality and made in the U.S.
> at both the The Clothesbarn and Courrege. > who modeled clothes in restaurants and the like. > upscale restaurants such as The Velvet Turtle. > is cyclical and will shine again! To the above poster – Where did you get some of your information and what’s with the “carrots”? Did you copy this from somewhere else? Firstly, the bit about caring about the environment when you were a teen was a bit too precious and misleading as this is in Cupertino, not Sunnyvale and you seem to be bringing in 21st century ideologies into your 20th century mind frame. At the point of Vallco’s construction the boom for the valley hadn’t occured yet and orchards were still very abundant in the entire valley. All the bits about the people who worked there were ridiculous and not necessary, along with your take on what Victoria’s Secret was like. Habersham Plantation was a chain store with home items in general, not things from the South. Courreges (as in Andre Courreges, the designer…check your spelling), was a short lived store way too modern for the area in style and was located along what they called “millionaire’s row”. This was an area starting with Burke’s Luggage, Gene Shaw Leather, Ralph Lauren’s Polo store and then Courreges. I don’t think you need put in the fact of your then boyfriend renaming Bullock’s. That was completely unnecessary. And Bullock’s was never on a par with Sak’s or Nordstrom. It was competition to Macy’s and was the reason it was placed in Vallco to draw people from Valley Fair. It was owned by the May Co. in Los Angeles and later became incorporated into Federated and dropped. Famolari were the brand of shoes you so inelegantly messed up. The Clothes Barn was a national chain. Might have been owned by a family, but you make it sound like a small shop. And, the wood floors were never polished so people slipped while walking on them. I never witnessed this happening in my experience shopping or working there. Ridiculous accusation. Possibly you started drinking at a young age? My point in all this is stop editorializing your input. This is how history is changed and rumors started. Stick to the facts. If you want to eloborate, take it to another site. 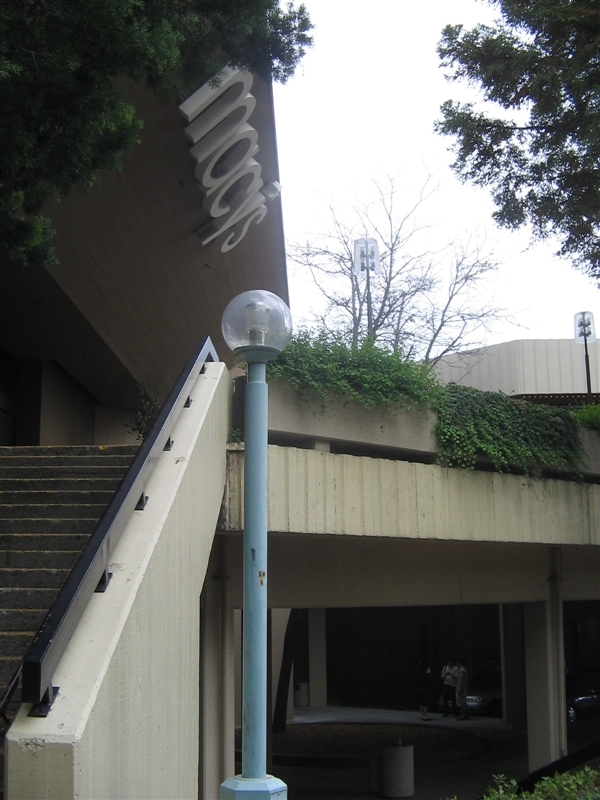 Vallco was a great mall at it’s beginning. Too bad. Sometimes it’s better to pull the plug and start with something new rather than continually patch it up with worse management and add-on ideas. @Marbella DeVille, What a rude, sad person you are Marabella. Did you actually just tell me what I can and cannot write? I thought this was the land of the free not the land of the ill-bred and self centered bores! These are memories from a person who actually lived and worked in and around Vallco at this time. My intent was to share some of my memories with younger people. You must work in the “new mall biz”. Things must be bad if you try to attack an innocent bystander like me. You are a prime example of what is wrong in today’s World. May I suggest a course at Miss Manners Charm School? By the way, yes technically Vallco is in Cupertino but it is on the cusp of Sunnyvale. WHO CARES??? Marbella DeVille – first off, Valley Fair was a trash of a mall when Valco was coming up. Second, there were plenty of young kids at the time that watched as orchards were being mowed over and replaced with malls – who cares if it was Sunnyvale, Cupertino, Saratoga or anywhere in the south bay – we might have been young, but we registered the change. I personally watched as my own backyard turned from an orchard without a fence to a track home development – fences and all. And lastly, this is Tresa’s version of HER life and experiences, respect that. And, the lower level of shops between Sears and Bullocks/Emporium/Macy’s wasn’t original; it had been parking with glassed-in landings for the escalators. (I used to park there when I went shopping at Vallco back in the early 80’s.) The work to convert this area took place sometime around 1985 or ’86. My guess is that the addition of the lower level was prompted by Valley Fair’s big rebuilding at the same time. Unfortunately, the lower level only seemed to be successful for a few years and began to empty out in the early 90’s; by the beginning of this decade only a few businesses were left , all seemingly huddling around the escalators, and now, even these are gone. I know for a fact that Aji Ichiban (Hong Kong bulk candy shop) is there, but it isn’t that a good location either. There’s also a Froyo and a few other businesses, but that could be an outdated website. An Apple discount store would be awesome! I like the Aji Ichiban. Candy appeals to everyone. Now they seem to also be carrying jewelry. Seems an odd combination. I’d like to think that positioning a mall to an ethnic group to be a good idea, but having a Todai just doesn’t cut it. Where is the Dim Sum? Where is the Diaso? Those red lanterns hanging from the center court are gone, now. I wonder why. To REALLY make it “East Asian” inspired, they need to have storefronts selling knock-off goods! There used to be dim sum in the mall, I heard. Is there any other way to get into the Sears/Macy’s wing without going up an escalator from the gloomy, closed first level or an outdoor staircase? “In the mid-90’s, three local investors (Alan Wong, Emily Chen, and John Nguyen) decided to use some Silicon Valley bank to restore some luster to this fading behemoth. 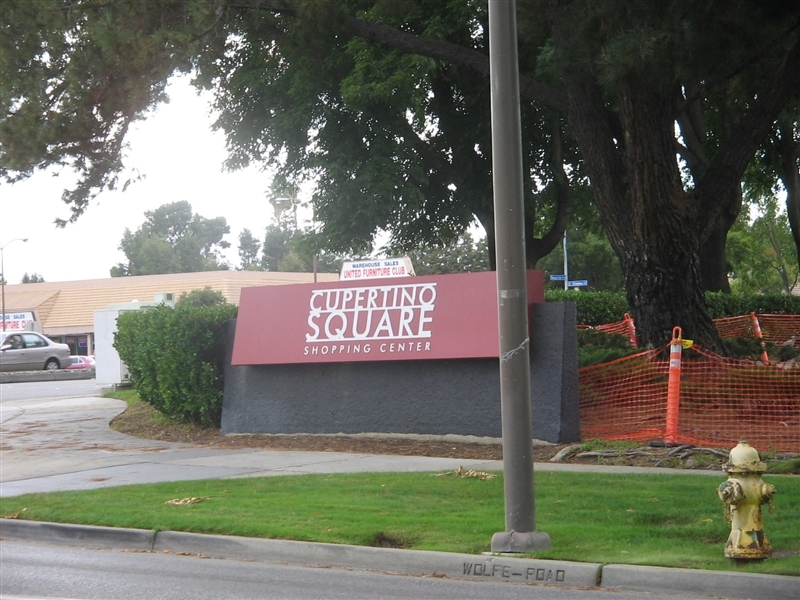 Given that Vallco was located just a few miles from Valley Fair on Stevens Creek Blvd., the group needed to differentiate the center from its immediate competition by adding a significant dining and entertainment component–including the upscale Strike bowling alley, a huge AMC movie complex, and new restaurants–and giving it a spiffy new name in “Cupertino Square.””. Don’t you mean mid-2000s, or is there something I didn’t know? I remeber when this mall was doing very well with a down stairs and a coffee shop and other small stores. They closed down bath and body works. Down stairs is closed and they are not doing anything at this moment. I think the Westfield should take it over. It should not turn into an asian market. When the Emporium opened in Vallco, did that store replace the free-standing store they had in the area– I think it was at El Camino Real and CA-85. Not sure what city that’s in — Mountain View? Nope, that Emporium, you are right, it is in Mountain View, operated until the acquisition by Federated Inc. in the mid 90s. It sat empty and dilipadating until as of about 3 years ago when El Camino Medical Group built medical offices on the site. 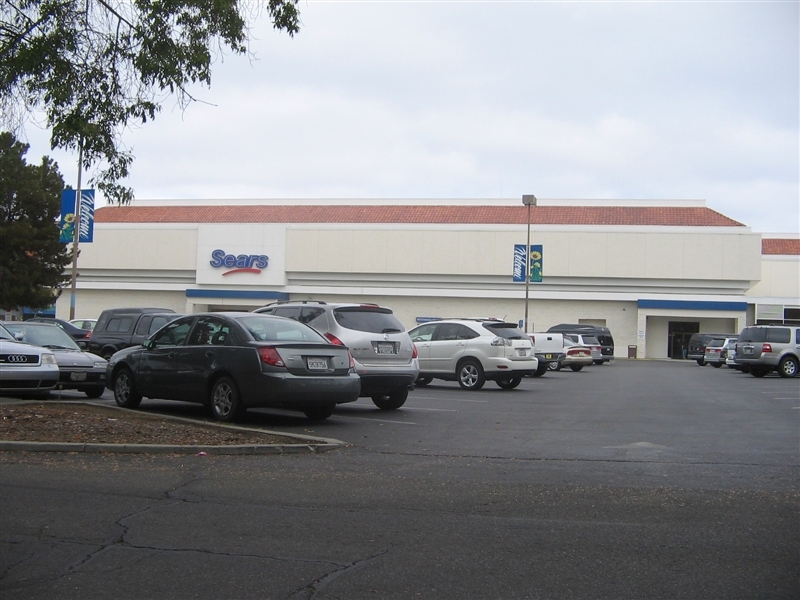 But what did happen relocation wise was with Sears, before the Vallco store was opened, they had a free standing one at San Carlos Street and Meridian Ave. in San Jose (that site is now a Safeway and a housing development) that was closed when the Vallco Sears opened. New twist: Cupertino Square has reverted (sort of) back to “Vallco Shopping Mall”. Okay, I used to live in sunnyvale, I now live in Canada. Is there still the place in the foodcourt that has corndogs, lemonade, and a little stool for little kids to stand on?! if so, I will be planning on taking a roadtrip down there in december. if it is, could someone please email me and let me know? i more than likely wont come back to this site. I wish I was not 1000+ miles away from this mall in VT , otherwise I would check this place out. It is the outdated, campy interior design that is a draw for me. I much prefer something that borders on “in bad taste” than something bland & cookie-cutter. Although the Macy’s is closing for good this week, Sears on the chopping block, and JC Penny’s rumored to be closing within the next 12 months, leaving this already dying mall with zero anchor tenants, I’ve talked to the managers at Benihana’s & TGI Friday’s as well as the AMC and Ice Center and they say the mall has no plans to shut down or be demolished. Maybe the new owner has some tricks up his sleeve. Updating my previous post from 2 years ago. The interior of the mall is completely vacant and closed off from the public except for the Movie Theater and the Dynasty Buffet. A Fitness club has taken over the Sears spot and the other 2 anchors are gone. The Movie Theater, Dynasty, Ice rink, Bowling Alley, and Benihana are the only shops that remain. There have been many proposals as to what’s gonna happen to the mall next, but the ones that make the most sense keep getting shot down by the citizens of Cupertino.